Whether it involves an active dispute with a neighbor or a dispute you are trying to avoid, issues between neighbors can be among the most difficult to contend with. Since both parties are effectively in their own homes, whether an apartment or separate houses, it can be difficult for either one to consider compromise. The fact is that people have responsibilities to their neighbors, just like they do to other members of their own households. Shunning these responsibilities can lead to ill-will, further conflict and a needless sense of stress, frustration and oppression. Part of making your home a safe and comfortable space in which to live is not only caring for yourself and your other household members, but for your neighbors as well. Like you and your household members, your neighbors are entitled to live in relative peace, quiet, comfort and security in their own homes. 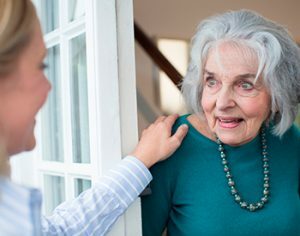 If you have an issue with a neighbor or a neighbor has an issue with you, there are proactive ways to approach and respond to it that support both your needs. Read on to learn effective ways to deal with a neighbor dispute so that it does not escalate and get out of control. The worst way you can resolve an issue with a neighbor is passive aggressively. For example, if your problem with your neighbor is that she or he makes too much noise when you are trying to sleep, do not try to resolve it by making a racket when you know your neighbor is trying to sleep. Revenge is not communication, and it is certainly not an effective way to solve an issue and avoid further conflict. The best chances you have of getting a neighbor to see your point of view and address it in a respectful manner is to communicate your point of view clearly and without strong negative emotions. Therefore, when you are feeling upset about a neighbor issue, it is not necessarily the best time to confront him or her about it. Rather, wait a bit before you broach the conversation to allow yourself enough time to calm down. If you come across to your neighbor as emotional, he or she is naturally likely to come back with an emotional response. After all, he or she is only human, and this is how human beings are hardwired. Likewise, if you approach the situation calmly and respectfully, your neighbor is much more likely to respond in a similar manner. Of course, none of these guidelines are meant to make you give up your rights to peace and comfort in your own home. To avoid being taken advantage of by neighbors who may not care about your concerns, keep track of your attempts to resolve the issue openly and directly with them. This way, if the situation remains unresolved and you need to take more aggressive actions, such as involving the landlord or police, you have a physical record of your attempts to resolve it yourself more amicably. A written record of your conversations can also be helpful when approaching a neighbor for a successive attempt who denies you ever broached the issue with him or her previously. When complaining to a neighbor about his or her actions or about an activity taking place on his or her property, it helps to know the rules and regulations regarding those actions or activities. If you live in an apartment, these can be found in your building’s rental agreement. If you own a home, there are local ordinances to be aware of, as well as any rules and regulations your neighborhood or homeowner’s association (HOA) may have. Be clear when approaching a neighbor about an issue. Note whether the neighbor is in violation of any rules or regulations or if you are simply making a request with which he or she is not obligated to comply. The less legal ground you have to stand on regarding your complaint, the more incumbent it is on you to approach the situation humbly and with a willingness to compromise. The two options of last resort when neither you nor your neighbor is willing to compromise on an issue are to take the issue to mediation or court. Mediation is the less aggressive of the two approaches, but both of you have to be willing to pursue it. If only you are willing to pursue mediation, then taking your neighbor to court may be the only way to achieve a resolution. If you take a neighbor to court over a particular issue, however, just be sure you have first gone through all the suggestions mentioned above and obtain the services of a qualified lawyer familiar with cases like yours. Court cases can be expensive, and there is no guarantee the situation is resolved in your favor. Even if it does, the chances are even slighter your neighbor will be ordered to pay your legal expenses. Therefore, you have to calculate how much it is really worth for you to spend to resolve this issue. Mediation is much cheaper than court, although the decisions and agreements made in mediation are not automatically legally binding. A mediation agreement can be made legally binding, however both parties have to agree for this to be the case.